Here is a list of famous people from Mali. Curious if anybody from Mali made it our most famous people in the world list? Read the aformentioned article in order to find out. Seydou Keita is a Malian professional footballer who plays for Dalian Aerbin F.C. in the Chinese Super League. A versatile midfielder, he can operate as both a central or defensive midfielder, and played most notably with Lens and Barcelona, winning 14 titles with the latter. Keita represented Malian national team since the age of 20, and also holds a French passport. Musa I, was the tenth Mansa, which translates as "King of Kings" or "Emperor", of the wealthy Malian Empire. At the time of Mansa Musa's rise to the throne, the Malian Empire consisted of territory formerly belonging to the Ghana Empire and Melle and immediate surrounding areas, and Musa held many titles, including: Emir of Melle, Lord of the Mines of Wangara, and Conqueror of Ghanata, Futa-Jallon, and at least another dozen. Ali Ibrahim “Farka” Touré was a Malian singer and multi-instrumentalist, and one of the African continent’s most internationally renowned musicians. His music is widely regarded as representing a point of intersection of traditional Malian music and its North American cousin, the blues. The belief that the latter is historically derived from the former is reflected in Martin Scorsese’s often quoted characterization of Touré’s tradition as constituting "the DNA of the blues". Touré was ranked number 76 on Rolling Stone’s list of “The 100 Greatest Guitarists of All Time” and number 37 on Spin magazine's "100 Greatest Guitarists of All Time". Mahamadou Diarra is a Malian footballer who plays as a defensive midfielder. He is currently the Mali national team captain. He is a free agent. Oxmo Puccino is a hip hop musician born in Mali. Oumou Sangaré is a Grammy Award-winning Malian Wassoulou musician, sometimes referred to as "The Songbird of Wassoulou". Wassoulou is a historic region south of the Niger River, and the music there is descended from traditional hunting songs, and is accompanied by a calabash. Sangaré's mother was the singer Aminata Diakité. Rokia Traoré is a Victoires de la Musique award-winning Malian singer, songwriter and guitarist. Born in Mali as a member of the Bambara ethnic group, her father was a diplomat and she travelled widely in her youth. She visited such countries as Algeria, Saudi Arabia, France and Belgium and was exposed to a wide variety of influences. Her hometown of Kolokani is in the northwestern part of Mali's Koulikoro region. While the Bamana have a tradition of griot performing at weddings, members of the nobility, such as Rokia, are discouraged from performing as musicians. Rokia attended lycée in Mali while her father was stationed in Brussels and started performing publicly as a university student in Bamako. Unusually for a female musician in Africa, Rokia plays acoustic guitar as well as sings, and she uses vocal harmonies in her arrangements which are rare in Malian music. In 1997, she linked with Mali musician Ali Farka Touré which raised her profile. She won an Radio France Internationale prize as "African Discovery" of 1997, an honor previously won by Mali's Habib Koité in 1993. As well as guitar she plays ngoni and balafon. Her first album Mouneïssa, released in late 1997 in Mali and September 1, 1998 in Europe, was acclaimed for its fresh treatment and unqualifiable combinations of several Malian music traditions such as her use of the ngoni and the balafon. It sold over 40,000 copies in Europe. Ibrahim Boubacar Keïta is a Malian politician who has been President of Mali since 2013. Previously he was Prime Minister of Mali from 1994 to 2000 and President of the National Assembly of Mali from 2002 to 2007. He founded a political party, Rally for Mali, in 2001, and he has led the party since then. He was elected as President in the July–August 2013 presidential election and sworn in on 4 September 2013. Jean Amadou Tigana is a former French international footballer, having played in midfield and managed professional football extensively throughout France, including 52 appearances and 1 goal for the France national football team during the 1980s. He most recently coached Chinese Super League outfit Shanghai Shenhua. In his prime he was tireless central midfielder, renowned as one of the best midfielders in the world during the 1980s. Modibo Maïga is a Malian footballer who plays as a striker for West Ham United in the Premier League and for Mali. He has also played for Stade Malien, Raja Casablanca, Le Mans and Sochaux. Toumani Diabaté is a Malian kora player. In addition to performing the traditional music of Mali, he has also been involved in cross-cultural collaborations with flamenco, blues, jazz, and other international styles. Mamady Sidibé is a Malian footballer who currently plays as a striker for Bulgarian CSKA Sofia. Sidibé moved from his native Mali to France when he was two years old. After playing football for a number of lower French league sides he joined Swansea City in 2001. He spent a single season at the Welsh club before signing for Gillingham. After three and a half years in Kent Sidibé rejected an offer of a new contract and joined Stoke City in July 2005 on a free transfer. He went on to become a key member of Tony Pulis first team and help to the club to gain promotion to the Premier League in 2008. Since the 2009–10 season Sidibé has picked up numerous long term injuries. Sidibé spent time out on loan at Sheffield Wednesday and Tranmere Rovers before his contract at Stoke ended in May 2013. He then joined Bulgarian side CSKA Sofia in August 2013. Amadou Toumani Touré is a Malian politician who was President of Mali from 2002 to 2012. Touré was head of President Moussa Traoré's personal guard when a popular revolution overthrew the regime in March 1991 and Colonel Touré arrested the President and led the revolution. He presided over a year-long military-civilian transition process that produced a new Constitution and multiparty elections; Touré handed power to Mali's first democratically elected president, Alpha Oumar Konaré, on 6 June 1992. Konaré promoted Touré to the rank of General. Ten years later, after retiring from the army, he entered politics as a civilian and won the 2002 presidential election with a broad coalition of support. He was easily re-elected in 2007 to a second and final term. On 22 March 2012, shortly before his scheduled departure from office, disgruntled soldiers initiated a coup d'état that forced him into hiding. As part of the agreement to restore constitutional order to Mali, Touré resigned from the presidency on 8 April, and eleven days later he went into exile. Cheick Tidiane Diabaté is a Malian international football player who currently plays for French club Bordeaux in Ligue 1. Salif Keïta Traoré, known as Keita, is a Malian retired footballer who played as a striker. In 2005 he was president of Fédération malienne de football and from 2007 a delegated minister of the Prime Minister of Mali. Modibo Keïta was the first President of Mali and the Prime Minister of the Mali Federation. He espoused a form of African socialism. Boureima "Vieux" Farka Touré is a Malian singer and guitarist. He is the son of Grammy-winning Malian musician Ali Farka Touré. Cheick Modibo Diarra is a Malian astrophysicist, businessman, and politician who was acting Prime Minister of Mali from April 2012 to December 2012. On 11 December 2012, Diarra presented his resignation on state television in a broadcast at 4 a.m. local time, hours after soldiers who led the 2012 Malian coup d'etat arrested him at his home in Bamako. Moussa Traoré is a Malian soldier and politician. As a Lieutenant, he led the military ousting of President Modibo Keïta in 1968. Thereafter he served as Head of State from 1968–1979, and President of Mali from 1979 to 1991, when he was overthrown by popular protests and military coup. He was twice condemned to death in the 1990s, but eventually pardoned on both occasions and freed in 2002. He has since retired from political life. Samba Sow is a Malian professional footballer who plays for Kardemir Karabükspor. Alpha Oumar Konaré was the President of Mali for two five-year terms, and was Chairperson of the African Union Commission from 2003 to 2008. Bassekou Kouyaté is a musician from Mali. His band is known as Ngoni ba. He was born in Garana, Barouéli Cercle, 60 kilometres from Ségou in 1966. At the age of 12, he started playing the Ngoni. In the late 80's he moved to the capital Bamako. Kouyaté's debut album Segu Blue was released internationally in 2007 by Out Here Records and distributed in the U.K. by Proper Music Distribution. The album was produced by Lucy Durán. He has also appeared on a number of albums by Toumani Diabaté and has performed in several European countries. In 2010, Kouyaté has been on tour with Béla Fleck. Kouyaté's wife, Amy Sacko, is also a successful solo artist and sings lead in his band. His father Mustapha Kouyaté was a ngoni player and his mother Yagaré Damba was a praise singer. Kouyate, together with wife Sacko and Ngoni Ba, appeared at The 2013 Proms. Dioncounda Traoré is a Malian politician who was President of Mali in an interim capacity from April 2012 to September 2013. He has been President of the National Assembly of Mali since September 2007 and President of the Alliance for Democracy in Mali-African Party for Solidarity and Justice since 2000. He was also President of the Alliance for Democracy and Progress, an alliance of parties that supported the re-election of President Amadou Toumani Touré in 2007. Bakary Soumaré is a Malian international footballer who plays professionally for the Chicago Fire of Major League Soccer, playing in central defense. Soumaré is tall, quick and rangy, with the speed to recover and close down forwards. Koman Coulibaly is a Malian football referee. He has been a full international referee for FIFA since 1999, and officiated his first international match on April 19, 2000, between Mali and Burkina Faso. Coulibaly is one of Mali's most experienced officials, having been selected for five Africa Cup of Nations tournaments and the 2010 FIFA World Cup. Outside of Africa, Coulibaly became the subject of international press coverage after officiating the 2010 World Cup match between the USA and Slovenia, where he called a disputed foul that negated an 85th-minute play in which Maurice Edu put the ball into the Slovenian goal. Amadou Hampâté Bâ was a Malian writer and ethnologist. Boubacar Traoré is a renowned singer, songwriter, and guitarist. Traoré also goes by the nickname Kar Kar, "the one who dribbles too much" in Bambara, a reference to his soccer playing: "a nickname I got from playing soccer when I was young. People would yell 'Kari, Kari' - dribble, dribble - the name stuck with me". Ballaké Sissoko is a noted player of the kora. He has worked with Toumani Diabaté and Taj Mahal and several others. He can be heard on Diario Mali. Ballaké's father, Djelimady Sissoko, was a notable musician in his own right. Modibo Sidibé is a Malian politician who was Prime Minister of Mali from September 2007 to April 2011. Adama Coulibaly is a Malian football defender. He was born in Bamako, Mali, and began his career in his local club, Djoliba AC. Coulibaly recently transferred to AJ Auxerre after spending a decade with his former club RC Lens. The transfer fee was priced at 2 million euros. He has played international matches for Mali along with his cousin Moussa Coulibaly. Soumaïla Cissé is a Malian politician. Born in Timbuctu, Soumaïla Cissé studied at l'Institut des Sciences de l'Ingénieur de Montpellier in France to become a software engineer. He worked in several large French companies before returning to Mali in 1984 to work at the Compagnie malienne pour le développement des textiles. With his creation of the Alliance pour la démocratie au Mali-Parti africain pour la solidarité et la justice, he became the Secretary General of the Presidency of the Republic following the 1992 election of Alpha Oumar Konaré. In 1993, he was named Minister of Finances, then in 2000, Minister of Equipment, Management of Territory, Environment, and Urban Planning in the government of Mandé Sidibé. Cissé was elected as the Third Vice-President of ADEMA-PASJ at the party's first extraordinary congress, held between November 25 and November 28, 2000. In January 2002, he resigned from the government to devote himself to preparation for the 2002 presidential election, and ADEMA-PASJ selected him as its candidate to succeed Alpha Oumar Konaré. Cissé took second place in the first round of the election with 21.31% of the vote, but he lost to Amadou Toumani Touré in the second round, taking 35.65% of the vote. Drissa Diakité is a Malian footballer who plays for Bastia in the Ligue 1, as a Defensive midfielder or as a Right defender. Souleymane Diamoutene is a Malian football defender. Idrissa Coulibaly is a Malian football player who plays for Raja Casablanca in the Botola. Adama Tamboura is a Malian football player currently playing for Danish club Randers FC. Dramane Traoré is a Malian footballer who last played as a striker for Ukrainian club FC Metalurh Donetsk. Djelimady Tounkara is a Malian musician and one of the foremost guitarists in Africa. Born in the culturally rich town of Kita, west of the Malian capital, Bamako, Djelimady grew up surrounded with traditional music played by members of his family, griots, musicians and historians by birth. Djelimady played djembe drum and ngoni, a banjo-like lute, as a boy. When he moved to Mali's capital, Bamako, during the 1960s, he had actually planned to work as a tailor. But music proved a stronger calling. He started playing guitar in a large, government-sponsored neighborhood band, Orchestre Misira. Voted the best guitarist in the band, Djelimady was selected to join the Orchestre National as rhythm guitarist, a great honor for the young player. All his adult life, Djelimady has worked to transform his ancestral traditions into dance pop. But at the same time, he has continued to work in more traditional contexts, backing the great griot singers of Mali on records, in concerts and at the day-long wedding and baptism celebrations that are the modern griot's life blood. In recent years, Djelimady has performed in an acoustic trio called Bajourou, accompanied by another masterful griot guitarist, Bouba Sacko, and by singer Lafia Diabate, a veteran of the Rail Band. Malick Sidibé is a Malian photographer noted for his black-and-white studies of popular culture in the 1960s in Bamako. Afel Bocoum is a musician from Mali, noted as a singer and guitarist. He began his career as a member of Ali Farka Touré's group ASCO, and Toure is often regarded as his mentor. Both men come from the town of Niafunke on the River Niger, and are members of the Sonrai people. Bocoum is an agricultural advisor by profession. Mamadou Diallo is a Malian football striker, who plays for Stade Lavallois. Issa Bagayogo is a Malian musician. He has released four full-length albums all under the record label Six Degrees Records. Bagayogo lends his voice and plays the kamele n'goni while Yves Wernert is the producer and keyboardist. Abdoulaye Traoré is a Malian football player who currently plays for French club FC Girondins de Bordeaux in Ligue 1. Seydou Keïta was a self-taught portrait photographer from Bamako. He is mostly known for his portraits of people and families he took between 1940 and the early 1960s and that are widely acknowledged not only as a record of Malian society but also as pieces of art. Sidi Yaya Keita is a Malian professional footballer who plays as a defensive midfielder. Souleymane Cissé is a Malian film director. Ramata "Rah" Diakité was a Malian Wassoulou woman musician. She was the cousin of Tata Diakité, who also died young. Baba Sissoko is a musician and vocalist. Sissoko is a master of the talking drums. He is also a jeli by birth. From childhood, he played tamani, often accompanying the traditional female griot during wedding and other traditional ceremonies. In 1985, he toured internationally with the prestigious Instrumental Ensemble of Mali orchestra, playing the tamani and ngoni. In 1991, he founded his trio, Baba Sissoko & Taman Kan, and began extensively collaborating with top Malian artists and international musicians. His work with Habib Koité is notable as their collaboration lasted 12 years and was widely celebrated. In 1995, Baba Sissoko released his first album with Tama-Kan. Baba Sissoko's Taman Kan bandmates are Roger Sabal Lecco, and Reynaldo Hernandez. The trio celebrates their own cultures, and incorporates blues, jazz and rock elements as well. Oumar Mariko is a Malian doctor, politician and noted former student activist. He is the secretary general of African Solidarity for Democracy and Independence and has three times run for President of Mali, in 2002, 2007 and 2013. Sotigui Kouyaté was one of the first Burkinabé actors. He was the father of film director Dani Kouyaté and was a member of the Mandinka ethnic group. Members of Kouyaté lineage or clan have served as griots for the Keita clan since at least the 13th century. The Kouyatés guard customs, and their knowledge is authoritative among Mandinkas. Keitas have to provide amenities to Kouyatés, who in turn should not hesitate to ask for Keita help. The word Kouyaté translates as "there is a secret between you and me". Seydou Badian Kouyaté is a Malian writer and politician. Niankoro Yeah Samake is a social entrepreneur and politician from Ouelessebougou, Mali. Samake is the executive director of the Empower Mali Foundation, the current mayor of Ouelessebougou, Vice President of Mali's League of Mayors, and was a candidate in the 2013 Malian presidential election. Issa Traoré is a Malian footballer. He currently plays for Sanat Naft in the Iran Pro League. Whilst at Pas, Traore endured a major injury on his right knee, and was out for a considerable number of games during his career at the club. After having a couple of unsuccessful seasons in the Iran Pro League he moved to the Algerian League and joined JS Kabylie. Kalilou Mohamed Traoré is a Malian footballer who currently plays for Sochaux in Ligue 1. Ahmad Baba al-Massufi al-Timbukti, full name Abu al-Abbas Ahmad ibn Ahmad al-Takruri Al-Massufi al-Timbukti, was a medieval West African writer, scholar, and political provocateur in the area then known as the Western Sudan. Throughout his life, he wrote more than 40 books and is often noted as having been Timbuktu’s greatest scholar. He died in 1627. Souleymane Keïta is a Malian footballer who currently plays as a midfielder. He is currently a free agent after having left South African Premier Soccer League club Lamontville Golden Arrows on 28 January 2013. Ibrahim Diaky is an Emirati football midfielder. He currently plays for Al Ain. An Ivorian-born Diaky was granted UAE citizenship in late 2006. Cheick Oumar Dabo is a Malian football player. Mahamane El Hadji Traoré is a Malian footballer. He currently plays as a midfielder for French club OGC Nice in the Ligue 1. He previously played for Cercle Olympique de Bamako. He earned his first cap with Mali in June 2005. Founéké Sy is a Malian footballer who currently plays for Ajman of the UAE Pro League. Cheick Tidiane Seck is a Malian musician, arranger and composer. He has written for and played with world-famous African and jazz bands as well as pop musician Damon Albarn. Soumaila Coulibaly is a Malian football player. Yambo Ouologuem is a Malian writer. His first novel, Le Devoir de Violence, won the Prix Renaudot. He later published Lettre à la France nègre, and Les mille et une bibles du sexe under the pseudonym Utto Rodolph. Le Devoir de Violence was initially well-received, but critics later charged that Ouologuem had plagiarized passages from Graham Greene and other established authors. Ouologuem turned away from the Western press as a result of the matter, and even today remains reclusive. Moussa Konaté is a Malian writer, born in 1951 in Kita, Mali. A graduate in Humanities at Mali's Ecole Normale Supérieure of Bamako, he was a teacher for several years before turning to writing. He is the founder of Editions Le Figuier and the director of the Association Etonnants voyageurs Afrique and, along with Michel Le Bris, is the Mali manager of the Festival Etonnants voyageurs, an international book fair. Sidy Koné, also known as Sidi Koné, is a Malian football player who currently plays for French club Olympique Lyon in Ligue 1. He plays as a defensive midfielder and has been compared to Malian national team captain Mahamadou Diarra by Lyon's special advisor Bernard Lacombe. Lassana Fané is a Malian football player who is currently playing for Saudi Premier League side Al-Shoalah. Cheick Fantamady Diarra is a Malian football player who plays for Istres in Ligue 2, on loan from Rennes. Ousmane Issoufi Maïga was the Prime Minister of Mali from 2004 to 2007. Issoufi had previously held several ministerial posts in previous governments. Issoufi was born near Gao, in the north of Mali. He studied economics at the University of Kiev and then at the American University in Washington, DC, where he graduated with a degree in banking and finance. He has worked for the World Bank and in the French Ministry of Finance, where he was Assistant Director of the Caisse autonome d’amortissement. Following the ouster of Moussa Traoré in March 1991, Maïga became Minister in charge of the State Contrôle Général in the transitional government. He later became Secretary-General of the Ministry of Finance before being appointed Minister of Youth and Sports on June 23, 2001. In this position, he organised Mali's hosting of the African Nations Cup in 2002. After the election of Amadou Toumani Touré as President, Issoufi became Minister of the Economy and Finance in the government named on June 14, 2002 under Prime Minister Ahmed Mohamed ag Hamani. Subsequently, in the government named on October 16, 2002, he became Minister of Equipment and Transport. Cheick Oumar Sissoko is a Malian film director and politician. Manthia Diawara is a Malian writer, filmmaker, cultural theorist, scholar, and art historian. Diawara holds the title of University Professor at New York University, where he is Director of the Institute of Afro-American Affairs. Balla Moussa Keïta was a Malian actor and comedian, and a West African cinema pioneer who was well known in the West. Born in the Ségou Region of Mali, he was originally a radio producer. He later turned to acting and acted in a number of movies by notable Mali directors like Cheick Oumar Sissoko, Souleymane Cissé and Abdoulaye Ascofaré. Among his critically acclaimed roles are those of the tribal king Rouma Boll in Yeelen and as Mambi in Guimba, un tyrant, une époque. He received the Best Male Interpretation award at the FESPACO for his role in the Guinean film Séré, le témoin. Alphadi is a notable Nigerien fashion designer often known as the "Magician of the Desert". He is Touareg, from an upper caste lineage, on both his parents sides. Alphadi was born in Timbuktu, Mali, but moved to his parents native Niger at a young age. Alphadi studied at Cardon Savard Studios in Paris, started his label in 1984, and his first haute couture line was released in 1985 at the Paris International Tourism Tradeshow. His line has since extended into sportswear and perfume. The Alphadi line, which has 'Complexe Alphadi' boutiques in Niamey, Ivory Coast and Paris In 1998 Alphadi was the one of the three African fashion designers to win the Principal Prince Claus Award; the other two were Tetteh Adzedu from Ghana and Oumou Sy. In 1998, he created the first FIMA, the International Festival of African Fashion which was located in Niger. This event allowed African designers to come together with other international designers such as Yves Saint Laurent, Kenzo, Jean Paul Gaultier and Paco Rabanne. Since then, the event has been going on every 2 years. In 2007, he launched a new contest during the FIMA and Hip Hop FIMA Contest. Mahamadou Dissa is a footballer from Mali. A left winger, he currently plays for the Belgian football club Geants Athois in the Third Division. Dissa is also a member of the Malian national team. Fernand Coulibaly is a retired Malian professional football striker who played for several clubs in Europe and the Mali national football team. He has Turkish citizenship with the name Muhammed Doğan. Coulibaly was born in Ségou. He played for Adana Demirspor, Gaziantepspor, Ankaragücü and Denizlispor in the Turkish Süper Lig. He also played for Stade Lavallois in the French Ligue 1. He was part of the Mali national football team squad at the 1994 African Cup of Nations. During October 2005, Coulibaly was imprisoned at the Bamako Central Prison following an investigation of his investments with the Banque l'Habitat Mali. Djibril Konaté is a Malian/French association footballer who is currently playing for Ligue 2 side Angers SCO. He usually plays as a right-back, but can also play as a centre-half and a defensive midfielder. He has played his entire career in France, with Mantes, Fontenay and Chamois Niortais and he was part of the Niort side which won the Championnat National in the 2005–06 season. Standing at a height of 1.94 metres, Konaté was the tallest player to play for Chamois Niortais during their professional era, between 1985 and 2009. Nantenin Keïta is a blind French Paralympian athlete competing mainly in category T13 sprint events. She is the daughter of the Malian musician Salif Keïta and thus a direct descendant of the founder of the Mali Empire, Sundiata Keita. Yahiya Doumbia is a retired professional tennis player from Senegal. He won two singles titles during his career on the ATP Tour, reaching a career-high singles ranking of World No. 74 in 1988. Doumbia played for the Senegal Davis Cup team, and holds team records for singles wins, doubles wins, and total wins, amassing a 44-19 record in 11 years of play. Cissé Mariam Kaïdama Sidibé was the Prime Minister of Mali from 2011 to 2012, the first woman to be appointed to the position in the country's history. She was announced to the position by decree on 3 April 2011, replacing Modibo Sidibé. On 22 March 2012, following the suspension of the constitution in the 2012 Malian coup d'état, she was removed from office and reported to be detained by junta forces. Malamine Koné is a Malian and French entrepreneur. He is the founder of the sportswear brand Airness. Koné arrived in France at the age of 10 and was raised in the northern Paris suburb of Saint-Denis. Koné became a boxer but his boxing career was cut short after a road accident in 1995. Koné then turned his attention to the fashion business. Alphousseyni Keita is a Malian midfielder currently playing for Académica de Coimbra . Juan Alberto Melgar Castro was a general of the Honduran military who served as the head of state of Honduras from April 22, 1975 to August 7, 1978, when he was removed from power by others in the military. General Melgar Castro took power in the 1975 Honduran coup d'état which removed Oswaldo López Arellano after his bribery scandal with United Fruit Company. During his rule, the process of land reform slowed because of pressure from land-owning sectors and influential politicians. His wife Nora Gúnera de Melgar was Mayor of Tegucigalpa. She was the nominee of the National Party for President of Honduras in 1997, but lost to the Liberal Party nominee, Carlos Roberto Flores. General Melgar Castro died of a heart attack near San Pedro Sula on 2 December 1987. Mamoutou Coulibaly is a Malian professional footballer currently playing for Kazakhstan Premier League club FC Irtysh as a defender. Coulibaly won two caps for Mali between 2005 and 2006. Assitan Keïta, popularly known as Mamani Keïta is a singer and musician from Mali. "Mamani" literally means "grandmother". She was raised speaking Bambara, and was a backup singer for Salif Keïta. She is best known in English speaking countries for her album with Marc Minelli, Electro Bamako. She is credited on four tracks of the soundtrack album of the French animated film Kirikou et les bêtes sauvages. Mamani Keita released her second album entitled Yéléma in 2006 and Gagner l'Argent Français in 2011. Both albums were produced and composed by French multi-instrumentalist Nicolas Repac. Ibrahim Maiga, also known as Ibi Maiga, born in Mali in 1963 or 1964, is a non-ethnic Slovak singer, actor, comedian, and politician. The BBC describes him as "celebrity in Slovakia". He moved to what was then Czechoslovakia in the late 1980s, as a student, and subsequently obtained Slovak citizenship. He "quickly became famous as a singer and actor". The BBC describes him as "a well-known figure" through his "infectious humour and songs about his homeland, Mali". He stood as a candidate for the European Parliament during the 2009 elections, representing the Party of the Democratic Left. As a pro-European, he has stated: "Particularly now, in a time of crisis, we see how important the European Union is. Without its existence, several States might have suffered collapse". Explaining his choice to run for the European Parliament, he also stated: "I really want to fight this election just to show Europe that Slovakia has a great future in Europe. If I'm elected and for the first time in history a black man represents Slovakia, that's going to be obvious to all of Europe." Maiga speaks six languages. Djibril Sidibé is a Malian football midfielder whos currently plays for Israeli National League side Hapoel Ashkelon. Soumaila Samake is a Malian professional basketball player. A 7'0" 245 lb center, he was drafted by the New Jersey Nets in the second round of the 2000 NBA draft, and played for the Nets and the Los Angeles Lakers. He scored 68 points and grabbed 76 rebounds in 47 NBA games between 2000 and 2003. While playing with the Lakers in 2002, Samake was suspended five games after testing positive for Nandrolone, an anabolic steroid. Samake said that he had accidentally ingested the substance while taking a dietary supplement. He was only the third NBA player suspended for steroids, following Don MacLean and Matt Geiger. On November 29, 2011, it was announced that the National Basketball League of Canada's Quebec Kebs had signed Samake to their active roster. Tiébilé Dramé is a Malian politician who served in the government of Mali as Minister of Foreign Affairs from 1991 to 1992. In the years since he has remained active on the political scene, while also acting as a diplomat and mediator in regional crises. Dramé was born in Nioro du Sahel. He studied at the Ecole Normale Supérieure of Bamako before obtaining his Advanced studies diploma in African history from the University of Paris. His political activity began during his studies. From 1977 to 1980, he was one of leaders of the Malian National Students' Union, which opposed Moussa Traoré's regime in Mali. Dramé was imprisoned on several occasions for his opposition to the regime. He then went into exile in Europe, where he worked for Amnesty International from 1988 to 1991. He conducted surveys on the human rights situation in West Africa. 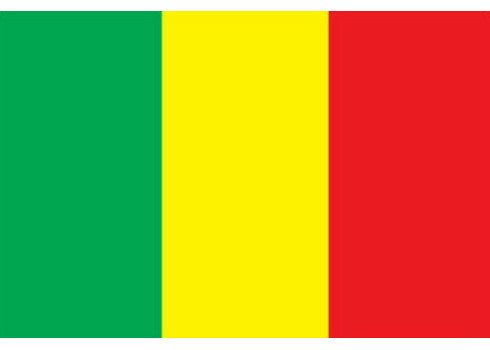 A militant for the Malian National Congress for Democratic Initiative, Dramé returned to Mali when Amadou Toumani Touré toppled Traoré's regime. He was Minister of Foreign Affairs in the transitional government from 1991 to 1992. Fousseiny Tangara is a football goalkeeper from Mali. He is currently a free agent. He was part of the Malian 2004 Olympic football team, who exited in the quarter finals, finishing top of group A, but losing to Italy in the next round. Lamine Guèye was a Senegalese politician who became leader of the Senegalese Party of Socialist Action. In 1945 he and his associate Leopold Senghor were elected to represent Senegal in the French National Assembly, Gueye was also elected to the French Senate in 1958. He gave his name to the 1946 Lamine Guèye law which granted French citizenship to the inhabitants of France's overseas colonies. He died in Dakar on 10 June 1968. At the time, he was the President of the National Assembly. He was the grandfather of Senegalese alpine skier Lamine Guèye. Massa Makan Diabaté was a Malian historian, author, and playwright. Mahamadou Sidibé is a Malian footballer. He is a goalkeeper. He has previously played for PAS Giannia, Egaleo and Athinaikos. In March 2008, after a controversial match between PAS Giannina and Kastoria during which Sidibe conceded two goals, he was accused of deliberately low performance and was ousted from the club. He joined Ethnikos Achna FC with the aim of helping the team in their effort to move higher up the table. The transfer was considered a transfer coup for coach Stéphane Demol, who used his extensive contact list to convince Sidibé to join Ethnikos. In June 2009, Sidibé joined AC Omonia of Cyprus as a third selection goalkeeper. Sidibé has a lot of international experience, having played several international matches for the Mali national team. Amadou Konte is a Malian-French footballer who previously plays for Minyor Pernik in the Bulgarian A Professional Football Group.